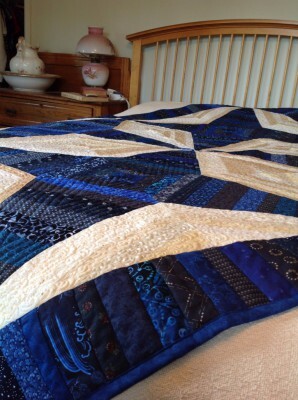 This stunning quilt is the result of hours of labor, both in the piecing and in the detailed quilting. 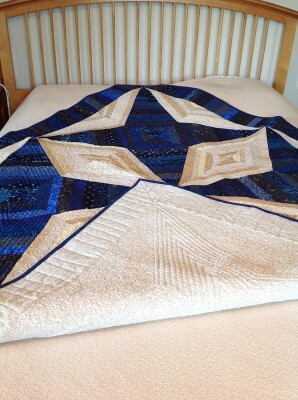 It is a large block adaptation of Bonnie Hunter's Virginia Bound pattern using my favorite indigo and tan colors. It would be beautiful as a showcase wall hanging or as a bed cover, either straight or offset.